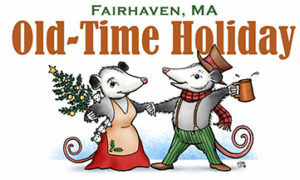 Fairhaven Old-Time Holiday, Decem­ber 8 & 9, at various locations. First organized by the Fairhaven Office of Tourism in 1998, the Old-Time Holiday is a cooperative effort between many of the town’s non profit groups. The majority of the events take place on Saturday, when fairs and marketplaces and other activities are held in the Town Hall, the First Congregational Church, the Unitarian Memorial Church, Our Lady’s Haven and The Millicent Library in the historical center of town. Visitors can shop for for arts and crafts, gifts, food items, and enjoy holiday luncheons, musical entertainment and more. Visit www.FairhavenTours.com for more information. The following are Old-Time Holiday events. At Our Lady’s Haven, 71 Center Street, Saturday, December 8, 2018, 11:00 a.m. to 2:00 p.m.
Our Lady’s Haven, built originally as the Tabitha Inn by Henry H. Rogers in 1905, will open its lobby to visitors, who will be treated to Christmas cookies and hot chocolate. Santa will be on hand to meet children and pose for photos. There will also be a sale of handcrafted items made by the residents. Sponsored by the Diocesan Health Facilities Organization. Accessible (via Laurel Street side entrance). For more information, call 508-999-4561 or email lisag@dhfo.org. Short readings by the authors will take place upstairs in the Reference Room. Use the wheelchair accessible Walnut Street entrance to the auditorium. Books make a great gift! Sponsored by Friends of the Millicent Library. For more information, email friendsmillicentlibrary@gmail.com. The Town Hall auditorium is filled with tables of sale items from about 25 non-profit groups, school groups and churches. Among the many offerings you’ll find gifts, holiday wreaths and centerpieces, baked goods, candy, ornaments, hand crafted items, T-Shirts, raffles, and silent auctions. There will be face painting and henna “tattoos” by Heart Body Arts, children’s activities, and live music performed by students of Fairhaven Public Schools. On the stage, Fairhaven TV will have a “green screen” photo opportunity to benefit the Bobby Bruso Scholarship. Handicap accessible. Admission is free. Sponsored by the Fairhaven Office of Tourism. For more informa­tion email FairhavenTours@fairhaven-ma.gov or call 508-979-4085. More than 25 Fairhaven non-profit organizations will have tables in the Town Hall auditorium featuring a wide variety of items including crafts, ornaments, silent auction/raffles, baked good, and more. There will be face painting by Heart Body Arts. There will be a downstairs cafe serving kale soup, chowder, Sam’s meat and spinach pies, chips, coffee, soda and bottled water. There will also be hot dogs, popcorn and soda on sale. Also outside for a short time in the morning, the Unlikely Strummers, a ukulele group, will be performing to raise money to prove ukuleles to hospitalized children. 9. Savannah Kobza, ornaments and decorations to benefit Hasbro Children’s Hospital. 15. Fairhaven Village Militia, T-shirts, sweatshirts, etc. 20. Whitfield-Manjiro Friendship Society, Japanese items, ornaments, etc. Green Screen Photo Opportunity by Fairhaven TV to benefit the Bobby Bruso Scholarship. Lions Club, fresh centerpieces, etc. Unitarian Church Holiday Market-place, Sanctuary Tours & Luncheon, Saturday, 12/8, 10:00 a.m. to 3:00 p.m., Unitarian Memorial Church parish house, 102 Green St. The Unitarian Memorial Church, built in 1904, will host its annual Holiday Marketplace, featuring local artisans, handmade crafts, raffles, baked goods (including nut-free and gluten free), and a delicious luncheon with homemade soups and sandwiches. This year, the Holiday Marketplace features Saint Nicholas entertaining all in front of our majestic Christmas tree. Each year, this tree is decorated by the children of the church, during a traditional offering of hot cocoa and cookies, with the help of church members and friends. Back again this year, will be the festively garbed ukulele players who will lead a not so traditional Holiday sing-along. Guided tours will be offered in the Sanctuary of this magnificent, gothic-style cathedral, led by Beth Kelley, dedicated congregant and member for over 60 years. 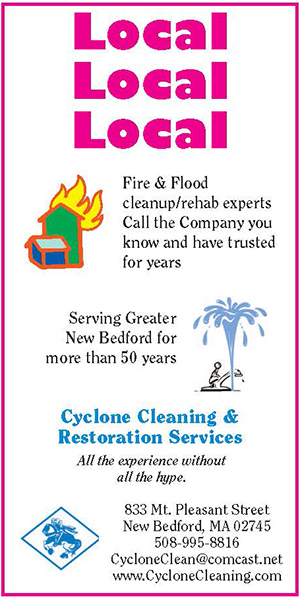 For more information, call 508-992-7081 or email officeuufhvn@aol.com. The church will be alive with activity, craft and food booths, and much more. Heavenly Treasures, our second hand shop will be open all day. A lobster roll luncheon will be served 11:00 A-M – 1:00 PM or until sold out. Hot dogs and chowder will also be available. For more information call 508-993-3368 or email firstcongfairhaven@ gmail.com. Handicap parking avail­able. Wheelchair accessible. 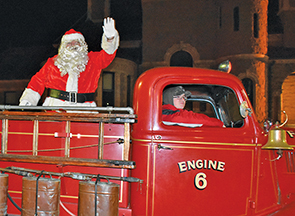 Santa arrives on an antique fire truck to the annual Town Hall sing-along in Fairhaven on 12/10/16. Photo by Beth David. 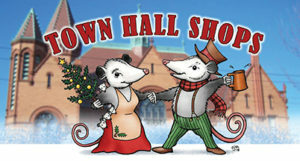 Town Hall Sing-Along (an Old-Time Holiday event), Saturday, 12/8, 6 p.m., Town Hall, 40 Center Street, Fairhaven A community tradition! Sing carols on the steps of the Town Hall while waiting for the arrival of a jolly visitor from the North Pole. Then enjoy some hot chocolate in the Town Hall auditorium. Spon­sored by the Fair­haven Improvement Association. Free. 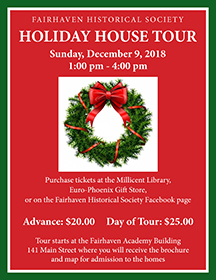 The Fairhaven Historical Society presents a holiday tour of historical houses and other buildings of interest. 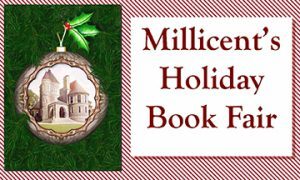 Advance tickets will be available at the Millicent Library or the Euro/Phoenix store. Tickets will also be available at the Town Hall Shops on Saturday, December 8. On the day of the tour, tickets are available at the Academy Building, 141 Main Street, where the tour starts. Service of Lessons and Carols, Sunday, 12/9, 4:30 p.m. Unitarian Memorial Church, 102 Green St. The Unitarian Universalist Society of Fairhaven presents a service of lessons and carols, with seasonal readings and music performed by Music Director Dwight Thomas and the choir of the Unitarian Memorial Church. All are welcome. Free. (Donations accepted.) Accessible. For more info: 508-992-7081.